Superstition is something that has been a part of life in the Indian society since time immemorial. As per Hindu mythology, human beings came into existence with Manu & Shatrupa being the first ones, the universal parents of mankind. As the civilization flourished, along with a rich epitome of spirituality came into being some unwanted irrational superstitious practices. with the passage of time, some such practices have so strongly deep-rooted the society, that an individual is forced to think multiple times before breaking the chain and going against such a practice. Talking about superstitious practices, I am reminded of a personal experience which took place some two years back. My friend Raman had recently joined a job as an HR Executive with a world-renowned MNC. Since his office was at a distance of approximately 15km from his home and he was earning good, he decided to purchase a motorcycle for daily conveyance. He asked me for suggestions and after a fruitful discussion, we went to buy a new bike for him. He bought the new Honda CB Shine SP. The bike dealer suggested Raman to purchase a two-wheeler insurance cover for his newly bought bike, but he ignored the suggestion. while returning back home on his new bike, we started discussing the compulsion to get his new bike insured. I told him that as per section 186 of the Indian Motor Vehicles Act, 1988, it is mandatory for every two-wheeler owner to get his vehicle insured by a third-party two-wheeler insurance provider. Though Raman was an educated guy, his mind still remained entangled in the chains of ruthless beliefs. He told me that there is no need for any insurance policy but he rather had some miraculous trick to keep any unwanted negative forces away from his vehicle. One the way he stopped at a vegetable vendor and purchased some green chilies and a lemon. On reaching home, he went inside and after a few minutes came back carrying a Nimbu-Mirchi totem. He tied it to one of the rods in the posterior side of his bike and said, “See, this is how my bike will now remain safe from any unwanted negative forces, evil eyes or accidents.” I burst out laughing on his words. He got a bit annoyed at this but I explained,”Brother this type of a totem might save your bike from negative forces or evil eyes, but in the case of an accident, mishap or theft, it would be rendered useless. Only a bike insurance would help me in such unforeseen mishap.” I even told him that getting a third-party insurance is no longer a tough task. 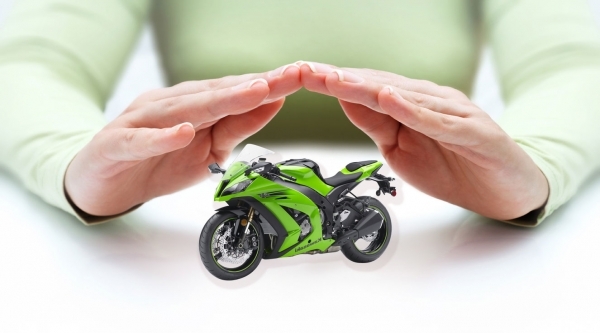 He can very easily avail the facility by applying for the bike insurance online. I requested him to overcome superstition and get insured for a safer future. But, despite my repeated explanation, he rejected my viewpoint. Time passed by, one night I was sound asleep when I got a phone call from him. Given the odd timing of his call, it took me no time in realizing that he was in some problem. I took the call. He told me that he was not able to locate his bike at the place where he parked it. It had been stolen. I immediately suggested him to make a police complaint followed by an FIR before I reach his place. I rode my bike to his home. The police had already reached the spot. The police officer asked him to show the bike documents, his driving license, the PUC and the bike insurance. He showed all the documents available to him. The police officer asked for the copy of insurance policy. Raman started making excuses that he had lost the policy documents. But I knew the truth. He had never bought a motorcycle insurance policy. I asked him to tell everything to the police officer. At first, he was reluctant but then finally he told the police that he had never bought an insurance policy. The police officer laughed at this and said that though he would file an FIR, but nothing much would happen as incidents, like these, are common to a place like Delhi. He said that had Raman taken an insurance policy for his two-wheeler, things would have been different. He would have at least got back the major amount he had spent in purchasing the bike. Raman repented, but it was too late. After the police left the scene, I pacified Raman and made him realize the fact that Nimbu-Mirchi cannot work at places where a strong documentation like an insurance policy is required. He understood the need for insurance and promised me that whenever he would purchase a new bike, the first thing he would do is to get it insured. These days Raman has actually changed a lot. Not just his bike, he prefers getting every other thing insured. He recently got his new smartphone insured and I was the happiest person to witness such a positive change in his persona. Afterall its the need of the hour to overcome superstition and get insured for a safer future.